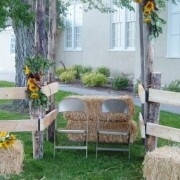 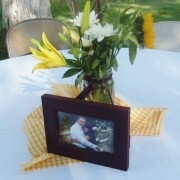 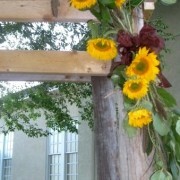 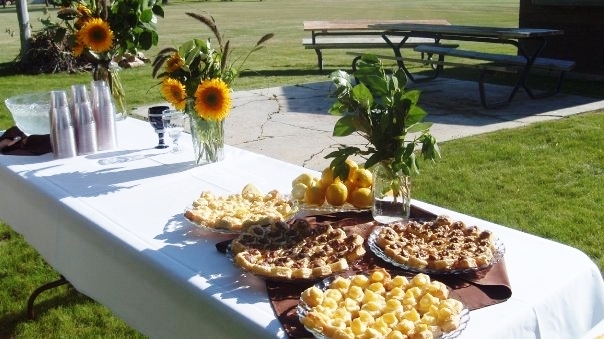 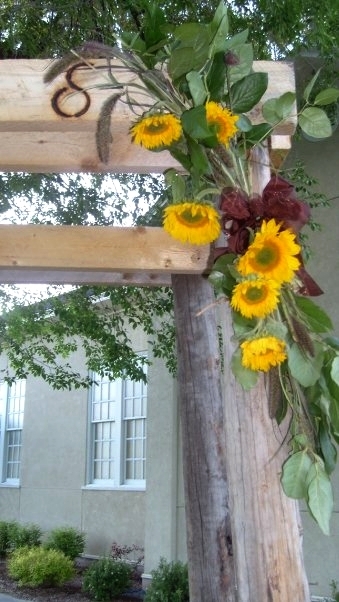 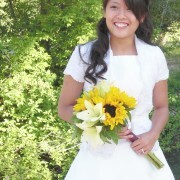 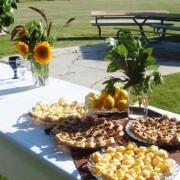 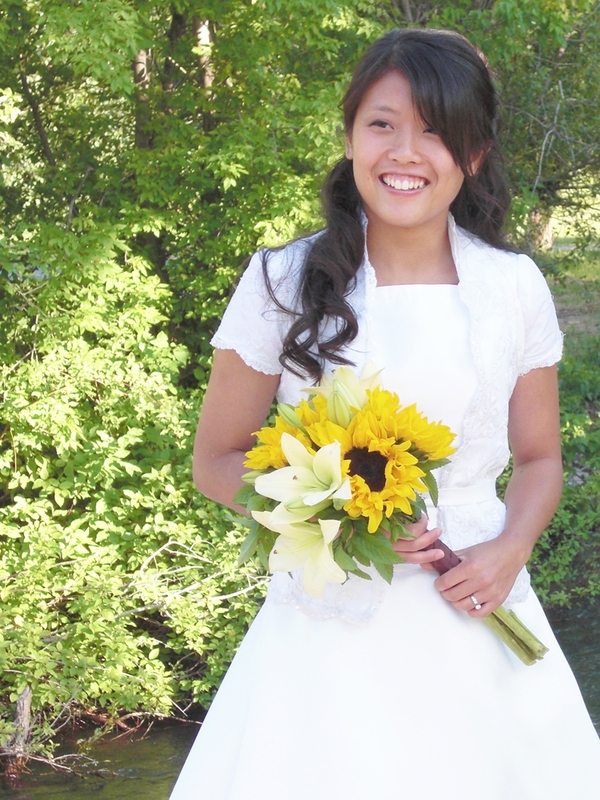 A Little bit country… Golden yellow sunflowers and chocolate brown accents turned this summer wedding country. 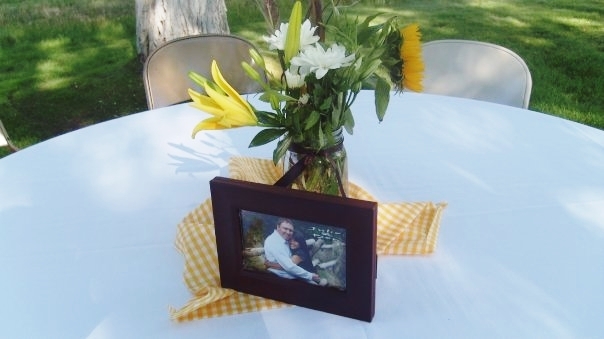 Brown millet and white lilies were perfect compliments to the bold yellow flowers. 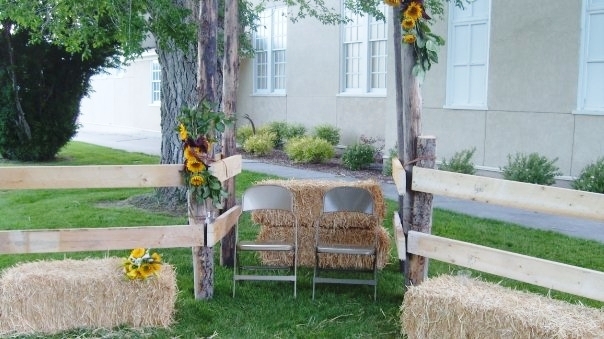 The groom personalized the reception by constructing a fence and arbor to frame the wedding line, complete with a brand of newlyweds monogram. 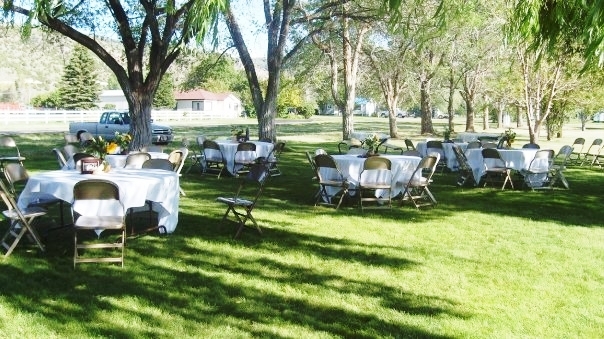 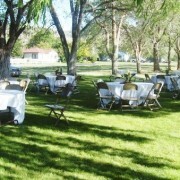 The couple was married in the Logan, Utah temple, a reception was held later that evening at a wardhouse in Bear Lake, Utah.